Below is a note from Secretary Sebelius to HHS staff, followed by a note from Dr. Reider to ONC staff. I would like to announce that Dr. Karen DeSalvo, who currently serves as the City of New Orleans Health Commissioner and Senior Health Policy Advisor to Mayor Mitch Landrieu, will be the next National Coordinator for Health Information Technology here at the Department. During her tenure, Dr. DeSalvo has been at the forefront of efforts to modernize the New Orleans health care system. Following Hurricane Katrina, for example, she led projects to increase access to care by augmenting the city’s neighborhood-based medical homes for low income, uninsured and other vulnerable populations in the New Orleans area. Throughout her career, Dr. DeSalvo has advocated increasing the use of health information technology (HIT) to improve access to care, the quality of care, and overall population health outcomes –including efforts post-Katrina to redesign of the health system with HIT as a foundational element. She served as President of the Louisiana Health Care Quality Forum, the Louisiana lead for their health information exchange and regional extension center grants. She has also served as a member of the Steering Committee for the Crescent City Beacon Community grant. As the New Orleans Health Commissioner she has made the increased utilization of HIT a cornerstone of the city’s primary care efforts and a key part of the city’s policy development, public health initiatives and emergency preparedness. Further, she has led the planning and construction of the city’s newest public hospital, which will have a fully-integrated HIT network. Her work as commissioner has led to positive changes to the way healthcare providers deliver care to their patients, improved accessibility and outcomes for patients, and improved the health of all New Orleanians. Dr. DeSalvo is a graduate of Suffolk University, Tulane Schools of Medicine and Public Health, Harvard School of Public Health. Dr. DeSalvo’s hands-on experience with health delivery system reform and HIT and its potential to improve health care and public health will be invaluable assets to the Office of the National Coordinator and the Department. I would also like to take this opportunity to thank Dr. Jacob Reider, the Acting National Coordinator for his leadership of ONC during this time of transition. I am pleased she is joining our committed team, and ask you to join me in welcoming her to HHS when she starts on Monday, January 13th. There seems to be still some confusion around what exactly the announcement on Friday December 6, 2013 by the Centers for Medicare and Medicaid Services (CMS) and the Office of the National Coordinator for Health Information Technology (ONC) means. 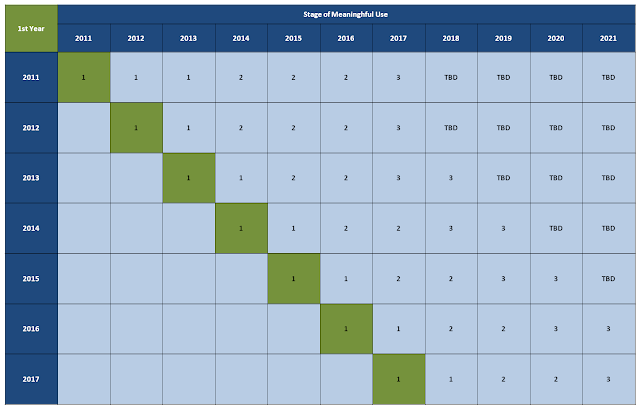 First is a new timeline for the implementation of meaningful use for the Medicare and Medicaid EHR Incentive Programs. This change has simply added a third year to Stage 2 of the EHR meaningful use program and has delayed the start of Stage 3 until 2017. Providers with at least two years of participation in Stage 2 would be able to start Stage 3 in 2017, while providers who have started in either 2011 or 2012 will have an additional year of Stage 2. "We expect to propose that the 2015 Edition would be voluntary in the sense that providers participating in the EHR Incentive Programs would NOT have to upgrade to 2015 Edition EHR technology and NO EHR technology developer who has certified its EHR technology to the 2014 Edition would need to recertify its products. Our intention would be for the 2014 Edition to remain the baseline certification criteria edition for meeting the Certified EHR Technology definition." So while CMS and ONC are beginning to make some small changes to timelines and certification processes, this seems to be a small step in the right direction. As John Halamka pointed out, "This is NOT a delay of Meaningful Use in 2014 (Stage 1 or Stage 2). All 2014 certification and attestation deadlines are still in force." While I have written in the past about the need for greater flexibility in meeting Stage 2 requirements, this change does not address those concerns. Although I believe there are very likely more changes to come, it is very important that healthcare organizations and providers do not count on any delay or changes, but prepare for plans to proceed under this current current regulatory framework. 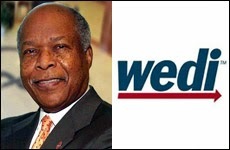 On December 5, 2013 Dr. Louis W. Sullivan, former Secretary of HHS and the creator of the Workgroup for Electronic Data Interchange (WEDI), released a new roadmap for the health IT industry, the 2013 WEDI Report. WEDI was formed in 1991 by Dr. Sullivan when he headed HHS, and was designated in the 1996 HIPAA legislation as an advisor to HHS. 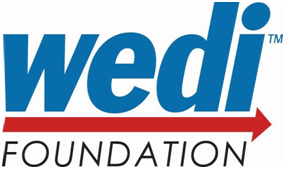 WEDI’s membership includes a broad coalition of organizations, including: hospitals, providers, health plans, vendors, government agencies, consumers, not-for-profit organizations, and standards bodies. "We are grateful to the many healthcare industry leaders and for the countless hours spent by those that dedicated their efforts to this endeavor" said Jim Daley, WEDI Chairman. "We are excited to share this significant body of work with all healthcare stakeholders and look forward to the report’s adoption and implementation." This report comes on the 20th anniversary of the original WEDI report which provided a vision for the industry to successfully transition to electronic data interchange standards as a way to bring cost-efficiencies to burdensome administrative processes. That report led directly to the administrative simplification provisions in the Health Insurance Portability and Accountability Act of 1996 (HIPAA). 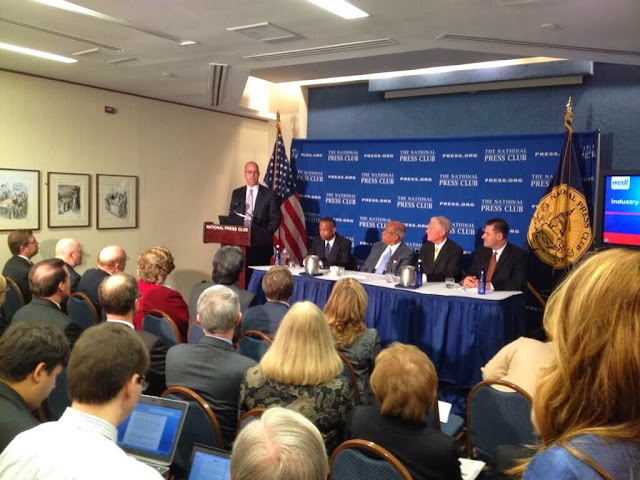 "Twenty years ago, as Secretary of HHS, I brought industry and government together under the WEDI aegis to collaborate on building a roadmap for the healthcare industry to apply information technology to facilitate exchange of healthcare data, improve quality of healthcare delivery, and reduce costs," said Dr. Sullivan on the release of the report. "I think it is appropriate on the 20th anniversary of the WEDI Report to revive that collaboration to draft a new roadmap to guide the next generation of healthcare information exchange that will lead to transforming the delivery of healthcare and improving the efficiency of the nation’s health system in the years ahead." WEDI recognizes that while progress has been made in the past 20 years in moving healthcare processes from paper to electronic, the healthcare industry has yet to solve a significant problem: electronically getting the right data to the right place(s) at the right time. The 2013 WEDI Report includes 10 recommendations to provide a broad framework for facilitating improvement in the electronic exchange of healthcare information. Patient engagement was defined as dialogue between patients and key healthcare stakeholders (e.g. physicians, health plans, care coordinators, and public health). However, the issue spanned several key areas of focus for the purposes of the report, including patient identification / matching, patient access to information, and how to leverage existing technology to facilitate consumer access to tools. 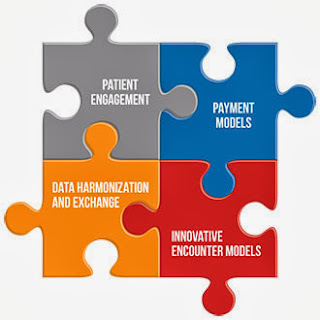 Facilitate adoption and implementation of “best-in-class” approaches that promote growth and diffusion of innovative encounters across the marketplace and that demonstrate value for patients, providers, and payers. Identify methods and standards for harmonizing clinical and administrative information reporting that reduce data collection burden, support clinical quality improvement, contribute to public and population health, and accommodates new payment models. Develop a framework for assessing critical, core attributes of alternative payment models -- such as connectivity, eligibility/enrollment reconciliation, payment reconciliation, quality reporting and care coordination data exchange, and education -- and the technology solutions that can mitigate barriers to implementation. "The recommendations presented provide an opportunity for the healthcare industry to work collaboratively to leverage health IT infrastructure in order to allow the healthcare system to expeditiously move forward with new modalities of payment and care coordination. The 2013 WEDI Report recommendations serve as a framework for action. These recommendations will help advance the U.S. healthcare system in order to meet the dual objectives of decreasing cost and improving quality. They also will contribute to improved information for population health." I believe this report will provide a clear roadmap for the future of health IT. I am sure that the recommendations will be strongly considered within HHS, including CMS and the ONC. Farzad Mostashari, former National Coordinator for Health IT said, "WEDI’s efforts to bring together industry and government, especially around the intersection of the administrative and clinical worlds, is a key component to helping people get better health and better care at lower cost." I think the recommendation on standardizing the patient identification process across the healthcare system is one that will get a lot of focus. The ONC has launched a Patient Matching Initiative to attempt to find solutions to this very issue. I expect to see a lot of activity in this area over the next few years. Overall, this report is going to be very influential and I strongly urge everyone to take a look. The full report can be downloaded HERE [PDF].